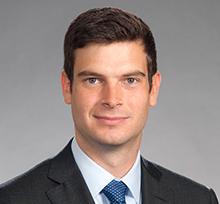 Jonathan Fitzsimons is an associate in the Corporate and Capital Markets Group. Jonathan works with public and private companies, from startups to established corporations, on a variety of matters including mergers and acquisitions, commercial and financial transactions, general corporate matters and corporate governance. Jonathan has advised clients in a wide range of industries such as web-based travel services, networking and IT infrastructure, equipment leasing and real estate investment, among others.